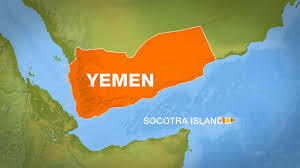 The US Security Forum “Just Security” considered that the recent disagreements that took place on the Yemeni island of Socotra confirmed the limited control of the internationally recognized Hadi government on its territory. In a recent report released this week, the Forum noted that this provides disturbing signals that the principle of territorial sovereignty has weakened at least in conflict-torn Yemen. It pointed out that this conflict increases the likelihood that the war in Yemen will slip quietly into violation of the Charter of the United Nations, which raises the possibility of legal concerns about the US support for the work of the Saudi alliance in Yemen. It addition, it mentioned that the clash in Socotra raised serious questions about Hadi’s control of Yemen and whether his initial approval to give permission to operate within Yemeni territory covered a whole range of UAE activities in Yemen, especially after some of his associates described it as occupation. It explained that the broader concern now lies in the validity of Hadi’s continued approval of the coalition’s actions as he is under house arrest in Riyadh. The report suggested that the control of the main transport routes in Socotra by the UAE forces would be outside the scope of the approval of the Hadi government. Stressing that if proved true, it would be a flagrant violation of the Charter of the United Nations, which is a crime and an aggression. It also affirmed that the Hadi government should negotiate with the United Arab Emirates to secure its territory, which shows the weakness of the rule of regional sovereignty in Yemen. Moreover, if the rumors are true, the UAE was paying for the referendum of Socotra residents to secede from Yemen, for it to become part of the UAE. It would be clearly illegal, and extremely detrimental to international standards of regional sovereignty. The statement further discussed that solitary confinement is illegal under international law, even if it was supported by the inhabitants of the separatist region, and that it is not right when the plan is to separate this area from a country for it to become part of another. A collective international condemnation came in response to rumors that the UAE is planning to follow the example of Russia with Crimea, in Socotra. Stressing that this is a matter of great concern. The US forum noted that recent developments rekindle legal concerns surrounding the continued US support for the alliance. Indicating that the willingness of the UAE to carry out such provocative actions in Socotra raises questions about possible US legal obligations under the US Arms Export Control Act. If the UAE uses US military resources to commit aggression and violate the Charter of the United Nations, the United States may be obliged to suspend arms sales to the United Arab Emirates, based on the law that allows the president or Congress to terminate all appropriations and Guarantees and sales to that country if it considers that a receiving country uses its military assistance for any other purpose not included in an Arms Export Control Act. The statement went on and cautioned that the United States would be legally responsible under article 16 of the draft State Bill, which provided that a State assisting another State in the commission of an internationally wrongful act would be internationally responsible for such acts.